[ENG] L’Escala is a site specific participatory art installation designed for the stairs of the Arts Santa Mònica museum, Barcelona, in the context of the exhibition From Here On. It is a projection of interactive video knitted with images from cameras recording stretches of the stairs in real time. These images create a panorama of imaginary and impossible paths. 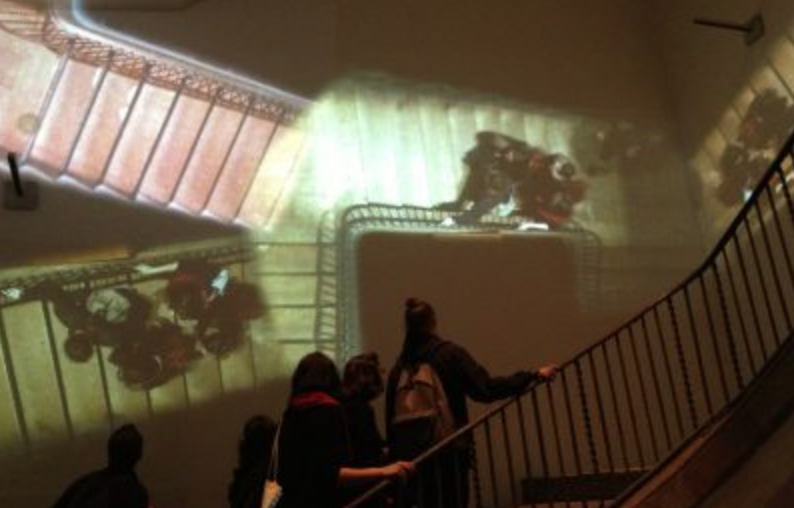 Visitors are confronted with their own image, captured and projected, and mixed with other uncommonly scenes recorded at the same stairs of the museum, with other temporal delay modes. The project aimed to reflect on the composition and comprehension of the surrounding space, across time. 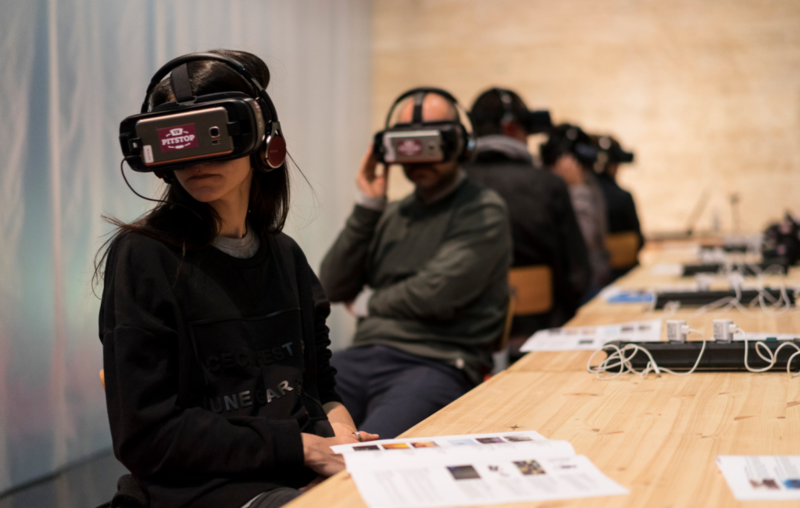 It was made with the idea of creating spatial confusions to the spectators when their images were mixed with past-recorded images in real time. [CAT] L’Escala és un element escenogràfic participatiu pensat específicament per a l’escala del museu Arts Santa Mònica en el context de l’exposició From Here On. És una projecció de vídeo interactiu teixida amb imatges de càmeres que graven trams de l’escala en temps real. Amb elles es composa una panoràmica imaginària de camins impossibles. Els visitants es veuen confrontats amb la seva pròpia imatge, capturada i projectada, així com amb altres imatges d’escenes quotidianes d’escales comunes. 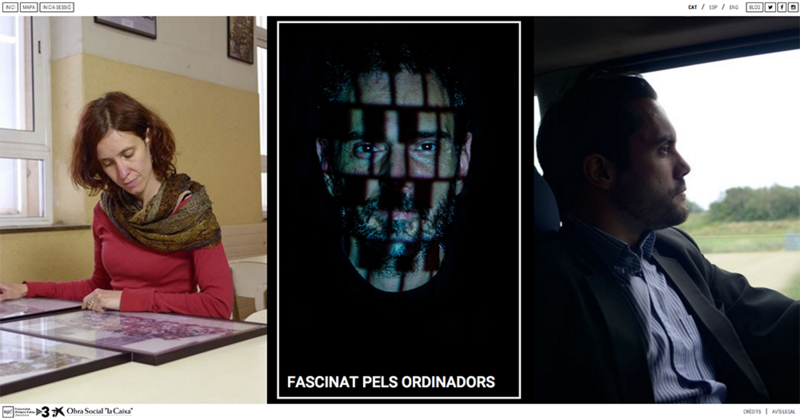 Concept and production: Carles Sora i Jordi Queralt. Obra catalogada en la IV edició del premi Arquia/Próxima 2014. Y tú, ¿quieres extinguirte como un fotosauro?, blog Arte en la edad de silicio, El País. 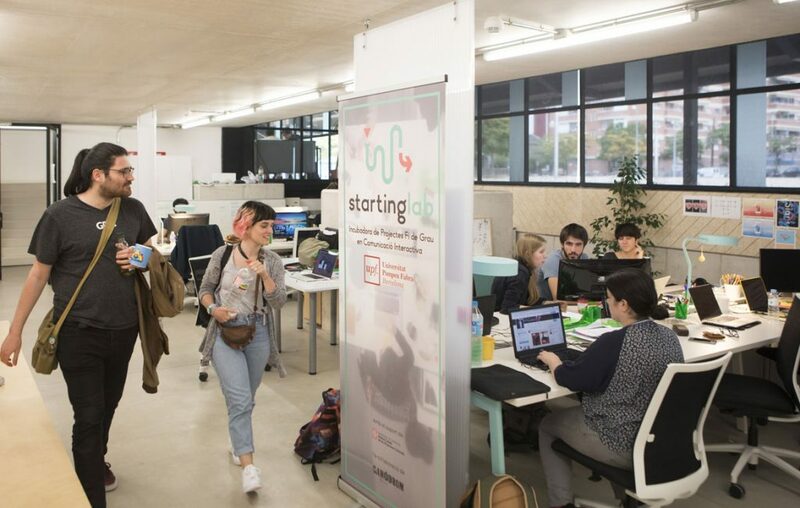 L’Escala, blog del programa Tendències, Xarxa de Televisions Locals. Post about the project at the Escena de la Memòria blog.